The surface of Venus is the most hellish place in the solar system. The ground is hot enough to melt aluminum. The air pressure is so high it has crushed spacecraft landers as though they were tin cans. The sky is perpetually covered with clouds of sulfuric acid. The atmosphere is a choking mixture of carbon dioxide and poisonous gases. This is where Van Humphries must go. Or die trying. His older brother perished in the first attempt to land a man on Venus, years before, and his father had always hated Van for surviving when his brother died. Now his father is offering a ten billion dollar prize to the first person to land on Venus and return his oldest son's remains. To everyone's surprise, Van takes up the offer. 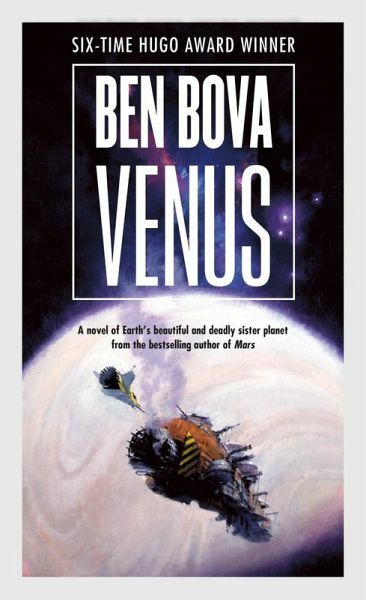 But what Van Humphries will find on Venus will change everything--our understanding of Venus, of global warming on Earth, and his knowledge of who he is.